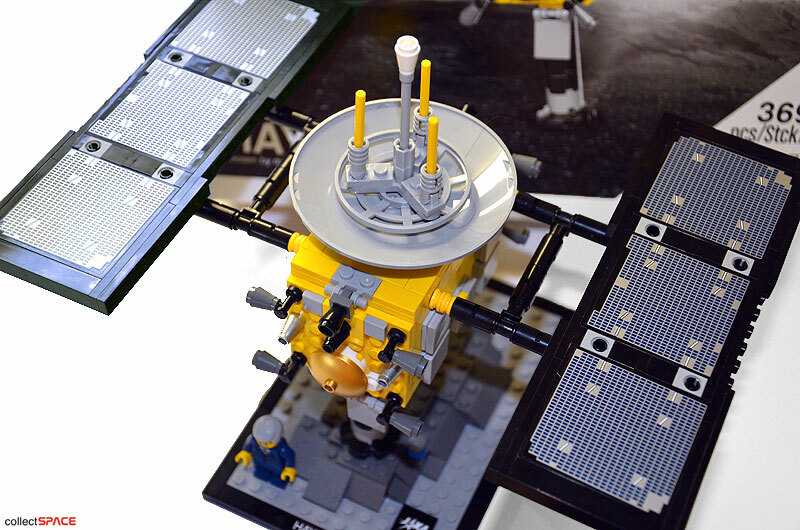 — The world's first spacecraft to collect samples from the surface of an asteroid and return them to Earth, Japan's Hayabusa mission probe, is now available as a LEGO toy thanks to a homemade model and its thousands of fans. 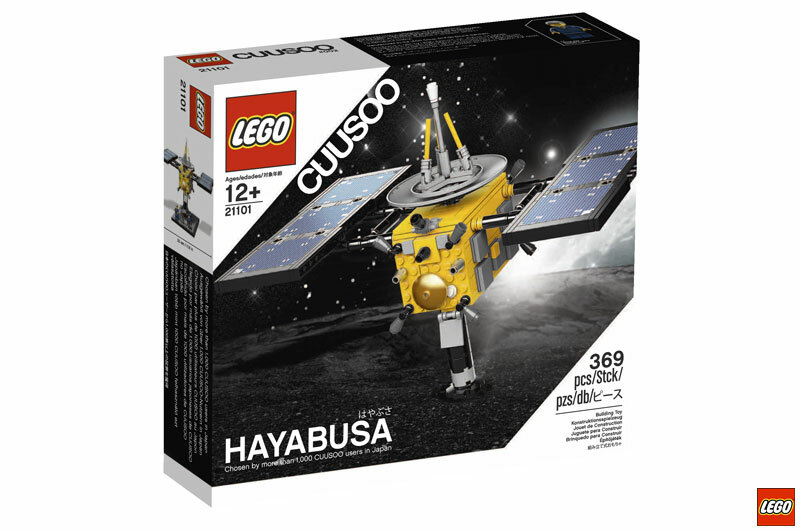 The Denmark-based LEGO Group announced Friday (March 2) that its Hayabusa 369-piece building set is now on sale in Japan. 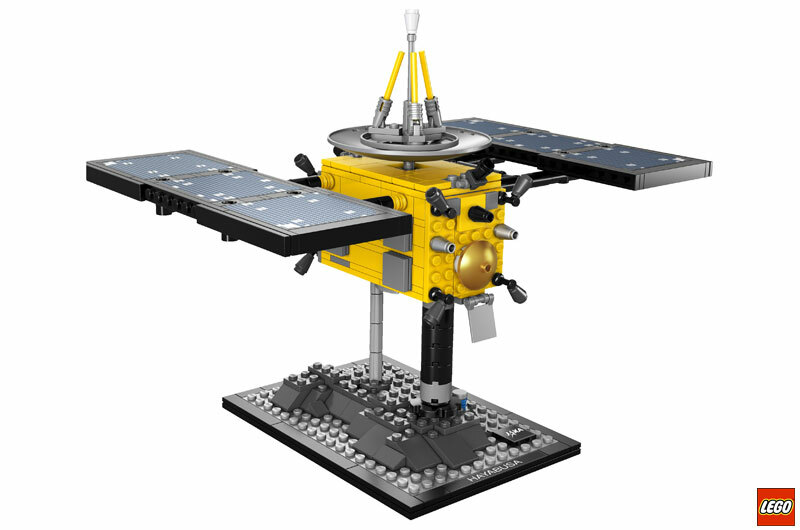 A limited number of the sets will be made available worldwide exclusively through LEGO's online store at a date to be decided for later this year. The model retails for $49. 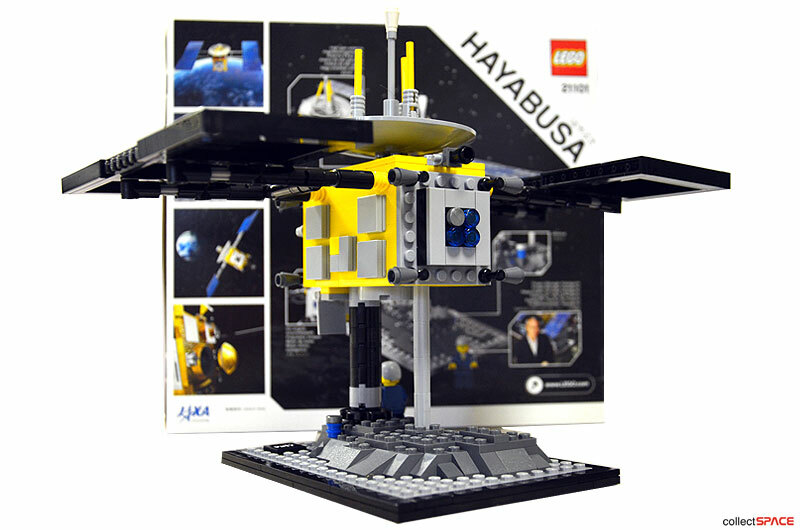 Hayabusa, which is only the second CUUSOO model to be made into a LEGO toy set, was built by Daisuke Okubo. 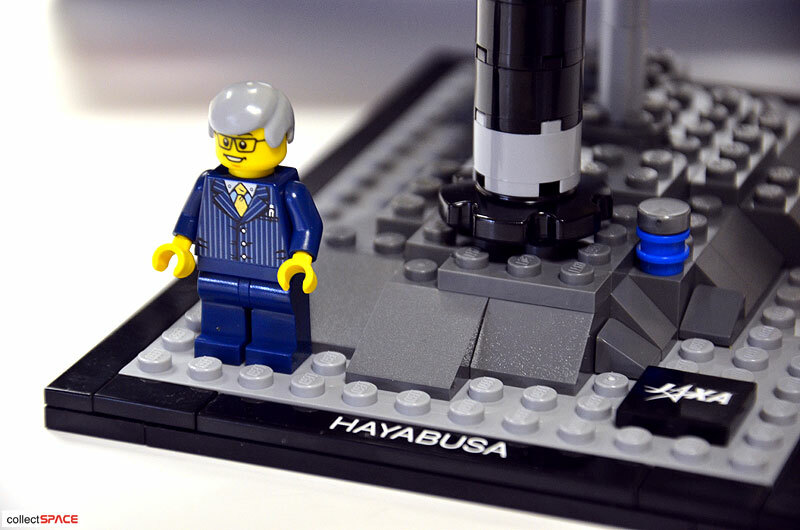 After receiving more than 1000 votes from other fans on the website, Okubo's proposed model was then refined by LEGO designer Melody Louise Caddick for its commercial release. 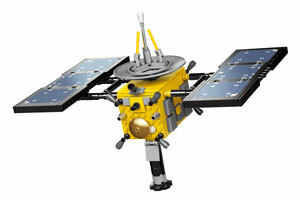 One detail that is included with the model was crucial to the Hayabusa mission's success. 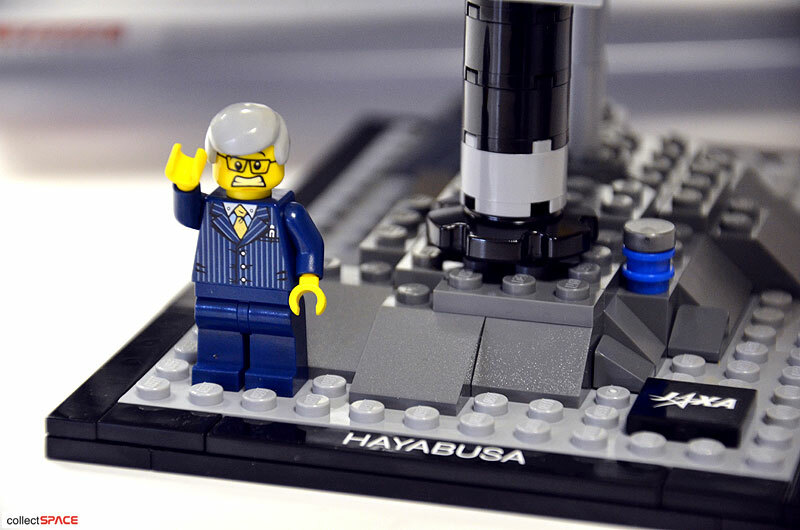 Japan Aerospace Exploration Agency (JAXA) project manager Junichiro Kawaguchi is included with the toy as a LEGO Minifigure. 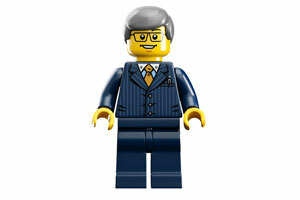 Clad in a blue pinstripe suit and yellow tie, the miniature Kawaguchi features two faces: an everything-is-going-well-with-the-mission happy face, as well as a more disturbed look for the high-tension moments that came during Hayabusa's mission. 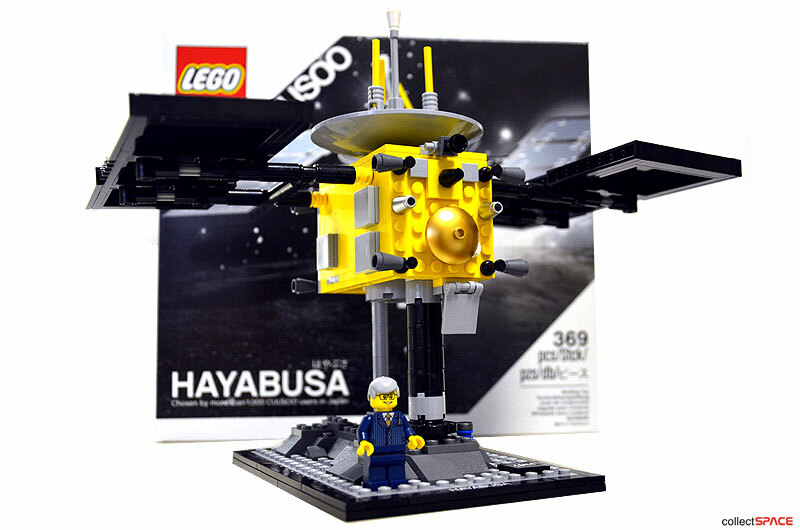 The real Hayabusa launched in May 2003 and reached asteroid Itokawa two years later. 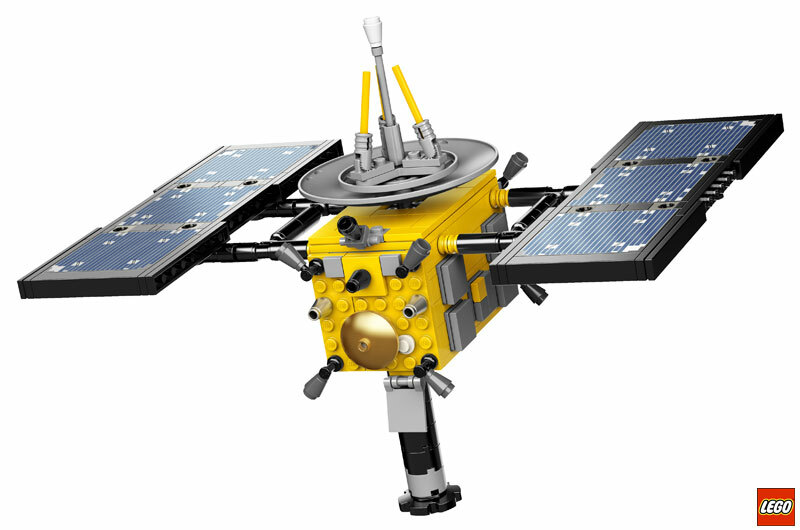 First orbiting the small near-Earth asteroid, Hayabusa collected data about the shape, spin, topography, color, composition, density, and history of the rocky planetoid. 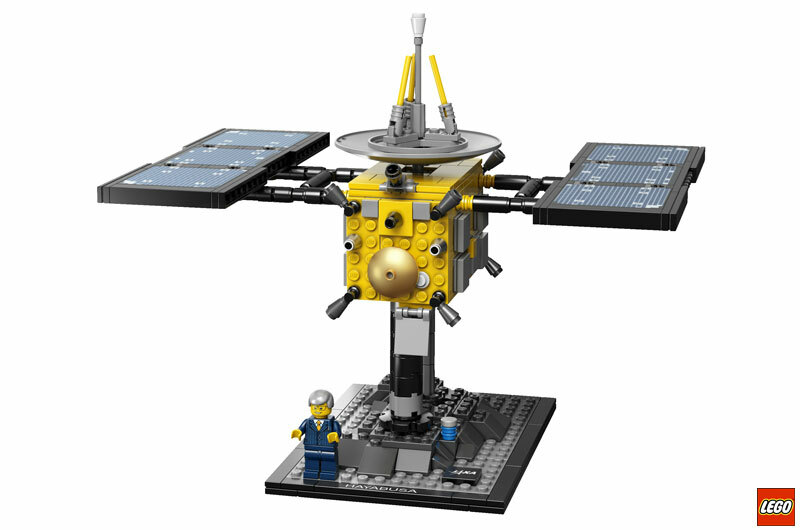 In November 2005, it landed on Itokawa and collected samples in the form of tiny grains of asteroid material, which were returned to Earth aboard the spacecraft in June 2010. The LEGO Hayabusa model is the second CUUSOO model to be produced out of the three chosen to date. The first, the Shinkai 6500 submersible, went on sale in Japan in February 2011. 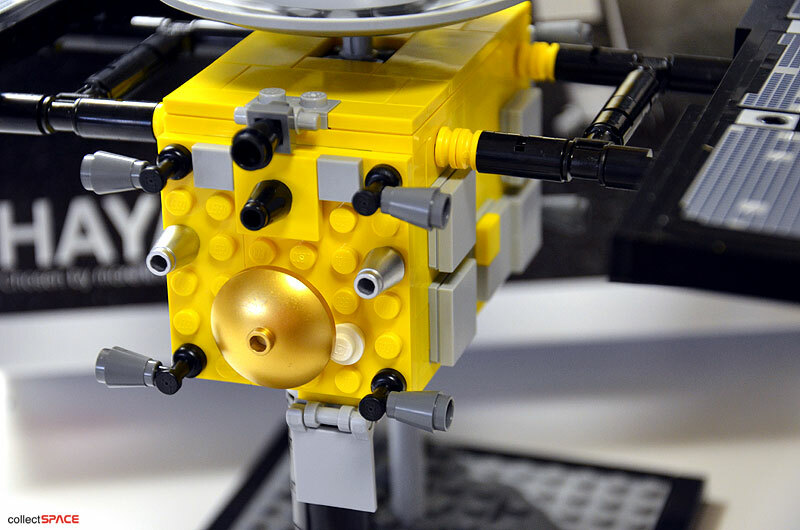 A set based on the computer game Minecraft is the first user-sponsored project to be approved on the global version of LEGO CUUSOO.